Success! 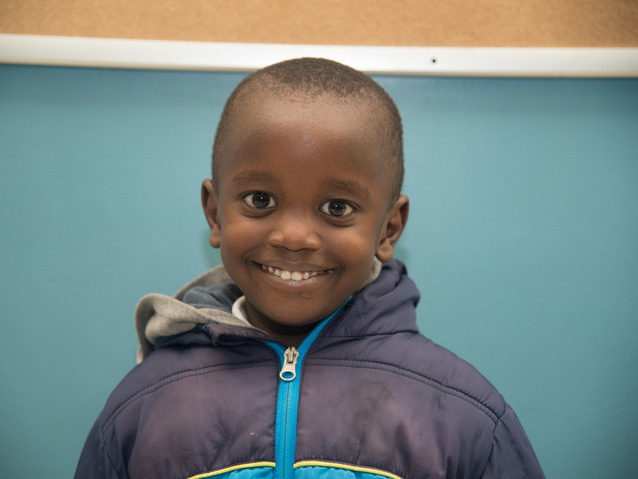 Andrey from Kenya raised $535 to fund corrective surgery. 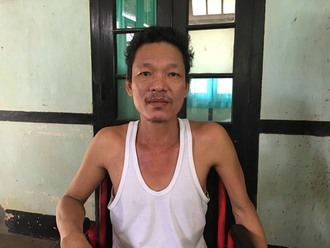 Andrey's treatment was fully funded on September 8, 2018. This has greatly minimized the risk of infertility and lessened the risk of development of an inguinal hernia and testicular cancer. “Thank you for funding for my son’s surgery. I will one day help someone too. Be blessed beyond measure,” says Andrey’s mother. Andrey is a young boy from Kenya. He is the only child to his single mother. The family of two lives in a rental house in central Kenya. Andrey’s mother works as a sales agent in a local company and earns just enough to meet their basic needs. Andrey was diagnosed with cryptorchidism, a condition in which one or both of the testicles remains undescended. If left untreated, Andrey has an increased risk of developing hernias, testicular cancer, and fertility problems in the future. Andrey will be receiving assistance from our medical partner, African Mission Healthcare Foundation (AMHF). Fortunately, he is scheduled to undergo corrective surgery on August 6. AMHF is requesting $535 to cover the total cost of his procedure and care. “I hope Andrey gets treated so that it does not affect him adversely,” says Andrey’s mother. Andrey's case was submitted by Joan Kadagaya at African Mission Healthcare Foundation in Kenya. Andrey was submitted by Joan Kadagaya, Curative Medical Support Program-Partner Representative at African Mission Healthcare Foundation, our medical partner in Kenya. Andrey received treatment at BethanyKids Kijabe Hospital (BKKH). Medical partners often provide care to patients accepted by Watsi before those patients are fully funded, operating under the guarantee that the cost of care will be paid for by donors. Andrey's profile was published to start raising funds. Andrey's treatment was successful. Read the update. Andrey's treatment was fully funded. One of the testicles either appears to be missing or cannot be felt in the scrotum. Left untreated, this condition can lead to infertility. The higher temperature inside the body can affect sperm production. Men with both testicles affected are more likely to experience fertility-related issues than men with only one affected testicle. This condition can also cause inguinal hernia, in which the intestine protrudes through a weakened area in the abdominal wall. Only surgery can correct this condition, which can otherwise result in intestinal damage or death. Finally, this condition is a risk factor for testicular cancer. If surgery is performed early, this risk is limited. Undescended testis is the most common birth anomaly in boys. This condition is present in about 1-4.5% of newborns, with a higher incidence in premature babies (30-45%). Unilateral undescended testis is four times more likely than bilateral. Data on this condition is scarce in Kenya, so the true prevalence of acquired undescended testicles is still unknown. An alternative to surgery is to use synthetic hormones that encourage the testicle to move into the scrotum. Hormone therapy is only recommended if the child’s testicle(s) are close to the scrotum. However, hormone therapy is not commonly available in Kenya.